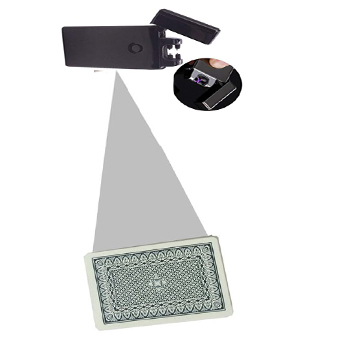 Playing cards scanner lighter device is used to light your cigarette and other thing can also used to scan invisible secret bar-code markings marked on the cards. The cheating cards lighter camera scanner scan the marked cards and inform the poker analyzer about the bar codes and give the instant result to the user. There is a magnet function in playing cards lighter cheating device for turn on and off the camera.